DENVER, July 5, 2017 /PRNewswire/ -- TeleTech (NASDAQ: TeleTech), a leading global provider of customer experience, engagement and growth solutions delivered through its proprietary end-to-end HumanifyTM Customer Engagement as a Service offering, today announced that the company has been recognized with the CCW Excellence Award for Best Training and Development Program during the 18th Annual Call Center Week Conference and Expo. 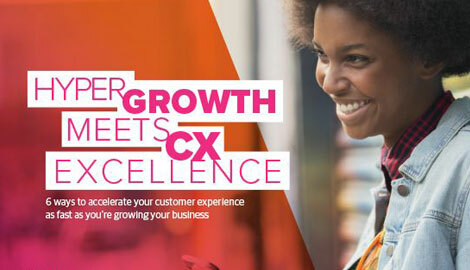 The 2017 CCW Excellence Awards honor, recognize and promote individuals and teams who have made a commitment to driving superior contact center and Customer Experience (CX) performance. The awards are dedicated to recognizing world-class innovation, creativity and execution across the full spectrum of contact center functions. "TeleTech is honored to be recognized by CCW for our work in customer experience, training and development programs," said Robert Jimenez, Executive Vice President, TeleTech Customer Strategy Services. "Our learning and performance team is using our proprietary methodology with clients to identify talent during the pre-hire process, immerse new associates in brand culture and provide interactive role play scenarios during training to best prepare the associates to become inspired and empowered brand ambassadors supporting customer engagement on behalf of our clients." Clients who work with TeleTech to create, manage and execute training and development programs benefit from retention enhancement, performance improvement and increased customer satisfaction, among business impact levers. "Often times, training and development focuses on the ramp up of the associate and determines performance using only the perfunctory measurements of associate effectiveness," continued Mr. Jimenez. "We've gone far beyond that, leveraging real time insights to fuel constant and continual direct development of individual associates through performance encouragement, engagement and empowerment. We also use these leading indicators of opportunity to leverage what's working and further improve areas of the training to enhance team performance, based on our unique perspective of training associates to be true customer engagement brand ambassadors."